Located on either side of the main entrance to the college, the installation is unified by a background painted in intense shades of blue. 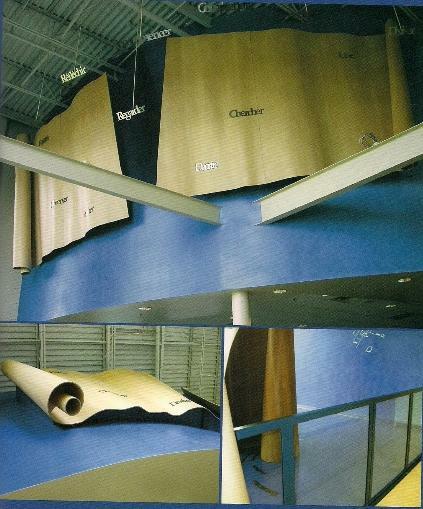 Toward the cafeteria, two large wood veneer panels fan out, all undulating lightness. Words are placed onto these surfaces while others hang in the air. 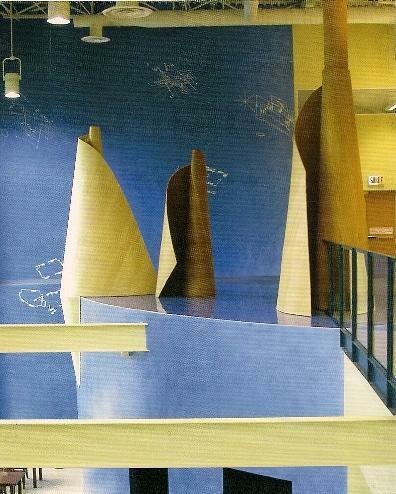 Towards the college's media library, three more wood panels are rolled up into cones that evoke fir trees. Placed in a circle at their feet, other words appear, excerpts from fairy tales and newspaper articles about forestry. The ground is painted in the same deep blue.